Volun Lighting Co., Ltd, the largest Par Light manufacturer in China, is a hi-tech enterprise which is focus on the development, production, sales and service of Par Light, factory founded in 2007, is the earliest LED Tubes development and production enterprise in China. As a professional LED Tube supplier, we have had cooperated with two of Top 500 enterprises in the world with ODM service. And a lot of wholesales, distributor from Europe, Australia were form very steady cooperation relationship on our LED tube, LED spotlight, bulbs and so on. We introduced the main production equipments and materials from Taiwan, Japan, Korea, United States, have automatic SMT machine, automatic discretion wave welding machine, ten temperature zones reflow soldering machine, high and low temperature experiment box, current shock laboratory, high voltage testing machine, large integrating sphere, auto burn-in machine and such sorts of production and R&D equipments. 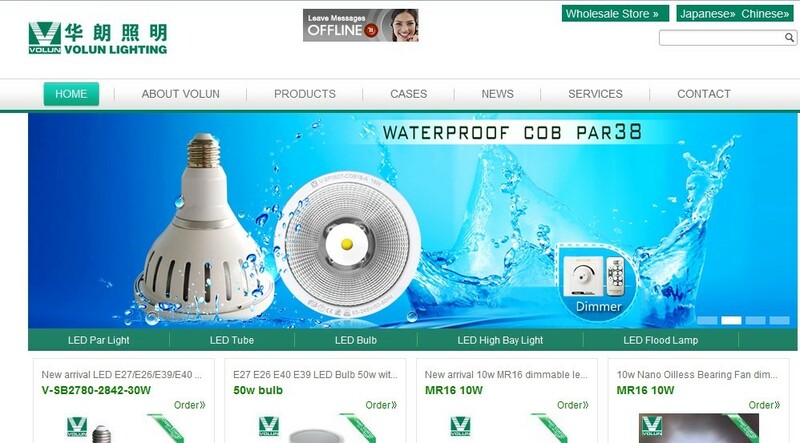 We are the experienced manufacturer of LED lighting products, have a pool of experienced and professional R&D, PC and QC teams on electronic and lighting fixture design aspects. Main products including: LED Tubes, LED Bulbs, LED High Bay Lights, LED Spotlights, LED Down Lights and Ceiling Lights ,high power LED lighting fixture and so on, the product has achieved CE, ROHS and FCC certificates, and partial products get the PSE、CB、ETL、UL approved. LED Tubes got many national patents and Japan patent.